Make plans to step away from your desk for lunch on Friday, June 15. Tork – you've probably seen the name on napkin dispensers in restaurants – has declared the date "Take Back the Lunch Break" Day in Philadelphia, where the company is headquartered. 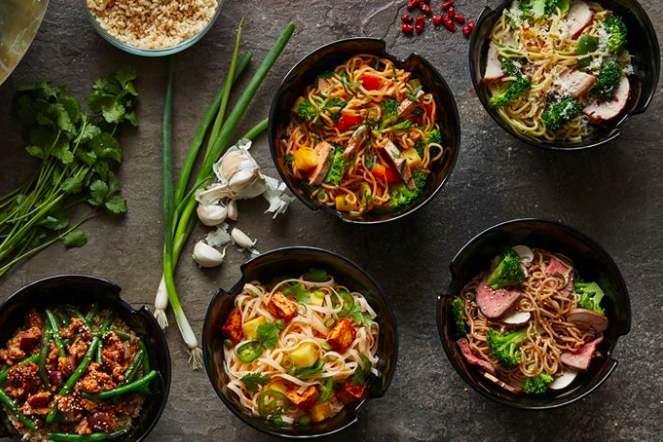 Tork has partnered with Honeygrow, the stir-fry and salad franchise, to give 100 lunches away at the University City location, between noon and 1 p.m. on Friday. Hungry? Your next lunch break could be on us. In honor of Philadelphia Take Back the Lunch Break Day on Friday, customer @honeygrow on Walnut St. is giving away 100 free lunches between 12-1 p.m.
A recent survey by the company shows why lunch breaks are important, but also how rare they are in the workplace. The online survey asked 1,600 adults in the United States and Canada about their lunch habits and found that employees who regularly take lunch breaks are more likely to feel engaged and happy with their jobs, but only 62-percent feel encouraged to take a lunch break. At your own workplace, how often do you step out for lunch?